In the past six years, my dogs and I have seen a lot of this country. I take a lot of photos when I travel and my favorites are usually the shots with my border collie mixes Bowie and Dio (short for D.O.G.). Without the dogs, it’s just a pretty picture, but with them it’s a place I’ve been, a place I know and love. From time to time I’ll post some of my favorite photos on here from my travels with Bowie and D.O.G. Today: Cape Cod! 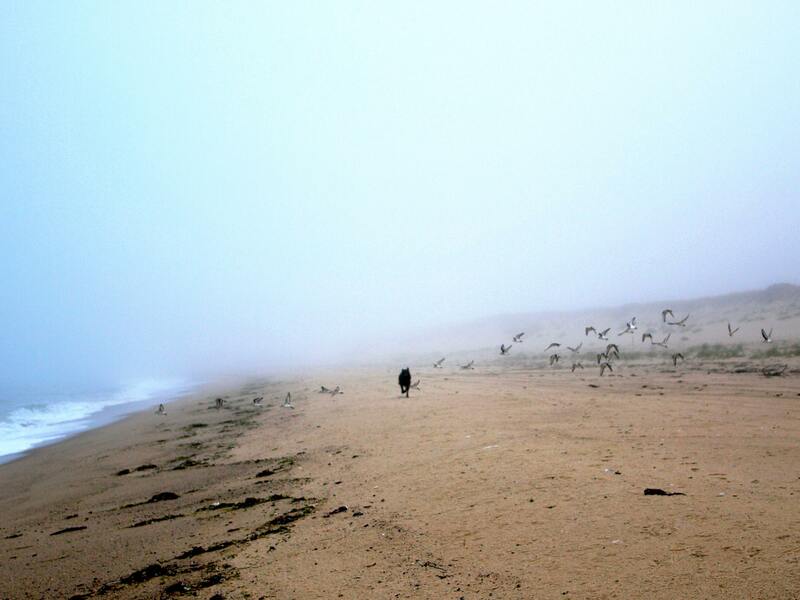 Last fall, the dogs and I spent a few foggy days in a dune shack on Cape Cod. 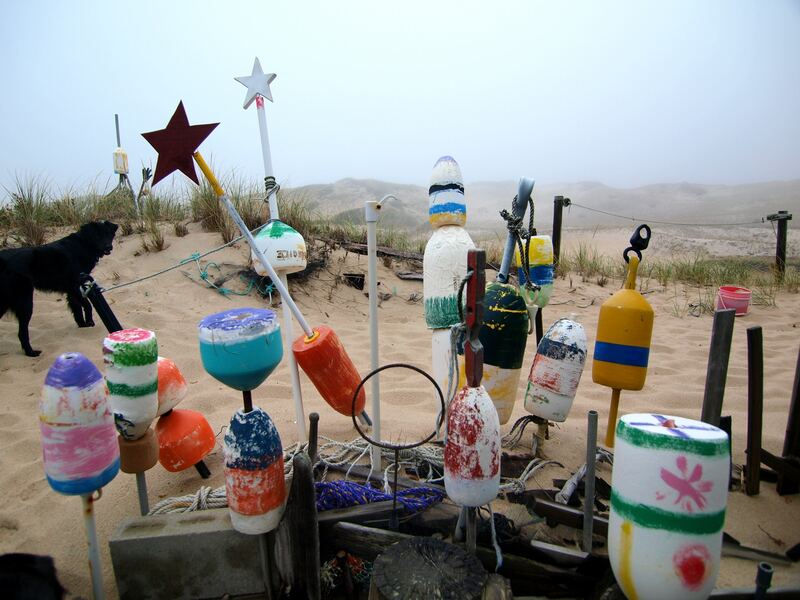 Shack is the proper term: the place had four walls, a roof, an epic buoy collection and not much else. It was perfect. 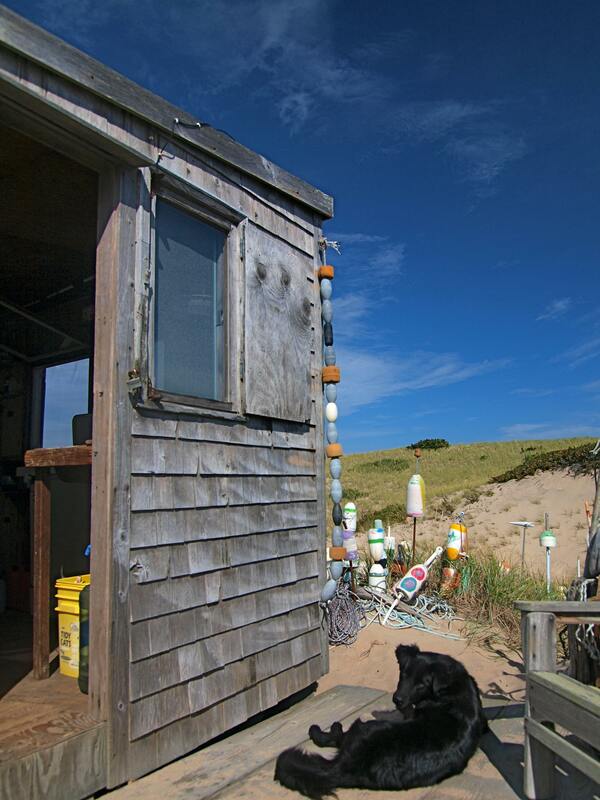 My days were spent reading fellow dune shack denizens Dillard and Thoreau, writing (not nearly as well as Dillard or Thoreau) and walking back and forth between the shack and the beach to visit my closest neighbors, a family of seals. The dogs and seals were equally curious about each other; perhaps they recognized one another as distant relatives. The dune shack is owned/ was owned by two of my favorite people, Marsha and Scott, a couple of long grey haired hippies who have never sold out or bought in. 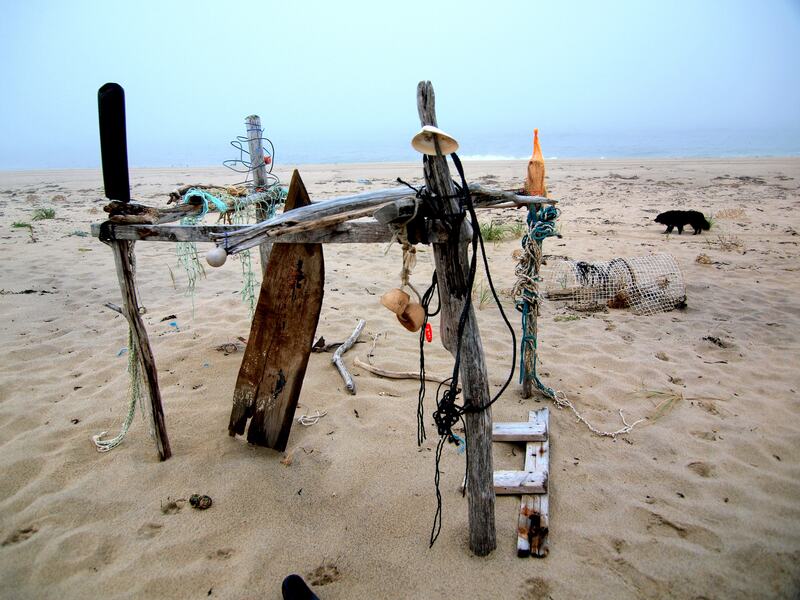 This past spring, Scott passed away suddenly and last week, Marsha threw a memorial party at the dune shack in his honor. I couldn’t get back East for the party, but I hear it was one Scott would have enjoyed. 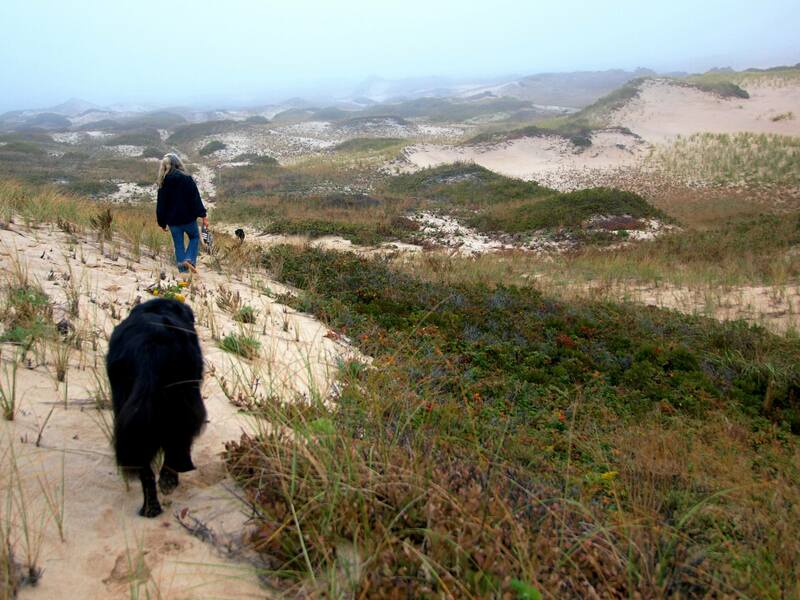 This entry was posted in Bowie & D.O.G., Hiking!, Photography, Road tripping!, Uncategorized, Vagabonding 101 and tagged beach, Cape Cod, dillard, dogs, dune shack, dunes, hiking, national seashore, road trip, travel. Bookmark the permalink. 3 Responses to Travels With Bowie & D.O.G. : Cape Cod!